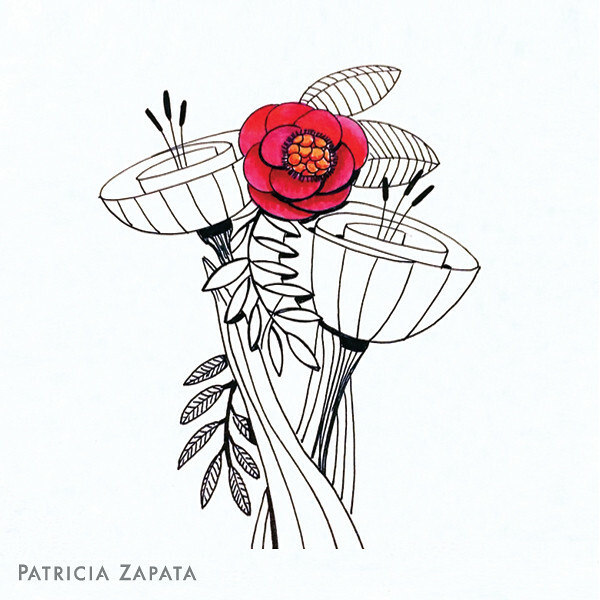 A Little Hut - Patricia Zapata: 10 petals for 10 years! 10 petals for 10 years! This blog is officially 10 years old. How?! My babies where 5 and 2 when I started this. That seems like a lifetime ago. I've been about ready to shut the whole thing down several times and in the most recent I even took down almost all my posts—then almost immediately regretted it. I guess I'm not done yet. I feel like a new chapter is coming on. My work has seen such a transformation over the years and I've learned so much professionally and personally. I'd never finish this post if I listed every lesson, every unexpected opportunity and every kind message from friends and total strangers alike. Needless to say, it's a privilege to live in a time when I can make a living doing what I love and sharing it here with those of you that kindly visit. Right now, my illustration is getting stronger and my confidence in moving down this new path is going full force. So much so, that my current projects and ideas revolve around this. I can't wait to see what happens. My birthday was a little over 10 days ago so that seems to have put some fire under me too. I'm giving myself a year to see these new ideas develop and take stock next May. For those of you that still stop by, thank you so much for sticking around. I know that I haven't been consistent in recent months but I decided to be gentler on myself. I think my work and more importantly my family have benefitted from this new stance. Slower but better. It only took me 10 years to finally make that stick! Live and learn. 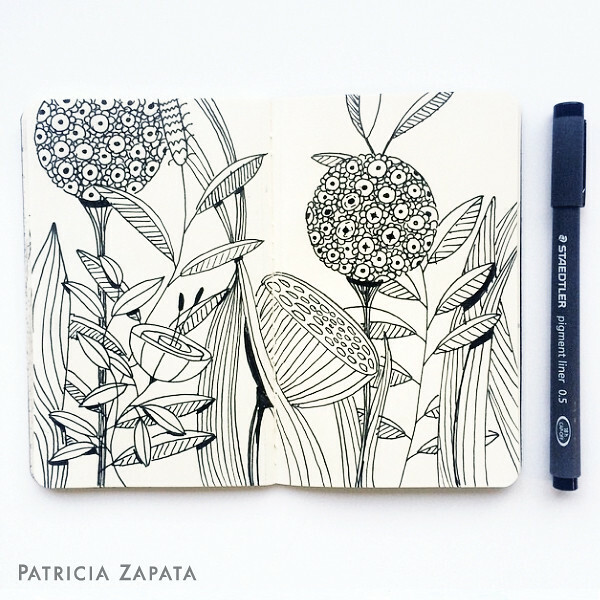 Happy Blog-birthday, Patricia! I am a longtime follower and admire the evolution of your work. Love this post's illustration header. Wouldn't it be striking in a pattern repeat ... on fabric, perhaps? I'd buy it! Beautiful work -- congratulations! Thank you so much Lisa! Fabric is on my to-do list. It's funny that you mention that design because I was just thinking along those lines today. Happy everything! I am also a long time fan, having purchased a book of yours a long time ago! I would love to see this made into a stamp (since I am a cardmaker). Love your designs! Thank you so much Joan! You and Lisa are reading my mind - lol! 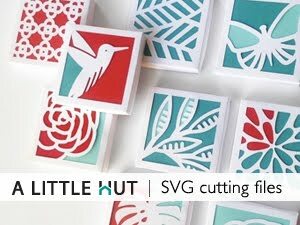 Not only have I been thinking about fabric but my long time love for stamping (block printing!) has me thinking that these line illustrations would be perfect for that. We shall see! I have been a Faithful Reader since you first stated posting...I am so very Happy that you have kept posting, as I enjoy seeing all of the Stunning things which you make!!! You are so Talented. Seeing your works makes me so Happy!! Thank-You so much for Sharing your latest projects!!! Thank you so much Sunny! All photography and content belong to Patricia Zapata unless otherwise indicated. Any form of reproduction and unauthorized use of the contents of this blog is not permitted. Copyright © 2005-2015 A Little Hut. All Rights Reserved.